Spa cottage Valkovuokko 6 A 1 is a 75 m2 holiday apartment in semi-detached house in Ikaalinen Spa area (about 1 km from Spa). Apartment is possible to connect with door (in kitchen) with neighbouring 6A2 as 150 m2 house if needed. One bedroom downstairs (2 persons) and living room with sofabed (for 2 persons). Upstairs one bedroom (2 persons) and open loft with sofabed (for 2 persons). There is also a bed recess/childrens room upstairs with bed for 2 persons (suitable for adults also). There are a lot of toys in childrens room, childrens tableware in kitchen, outdoor games and activities and a wide selection of dvds for children and adults. Valkovuokko 6 A 1 has 4 tvs and free wlan internet! Air-source heat pump for cooling or heating in living room. NEW: barbecue world! 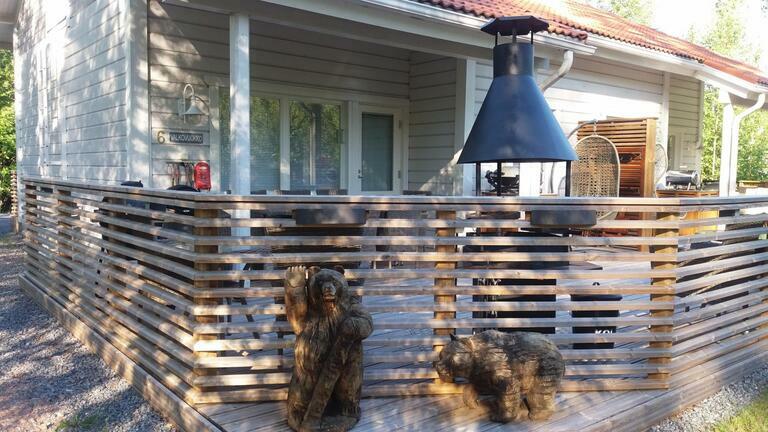 In the terrace you can barbecue with electric, charcoal, gas or wood heated grills! 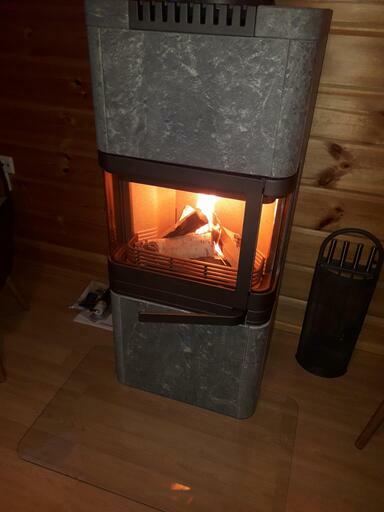 Wood and electricity is included in price but customers bring own gas/charcoil (not included). Also smoke heating with electricity is possible. 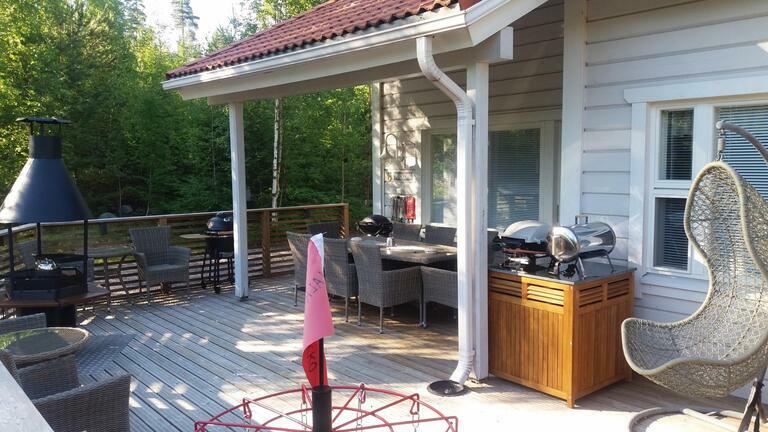 Services of Scandic Hotel Ikaalinen Spa (separate charge) situate only 1 km from Spa cottage Valkovuokko: restaurants, Water Tropic, bowling, lake cruises. 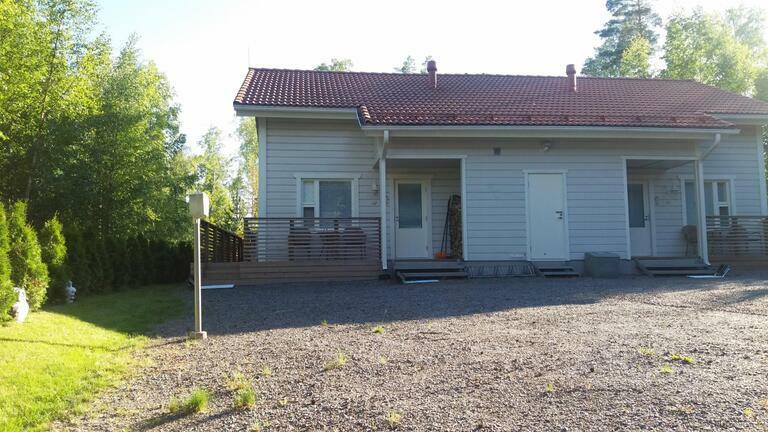 Excellent outdoor facilities in surroundings of Valkovuokko, you can step into illuminated jogging and skiing tracks directly from the yard. Also Vatula skiing centre situates only 10 km and Jämi skiing centre less than 25 km from the cottage. Price includes linen for 12 persons, extra linen available 15e/person. 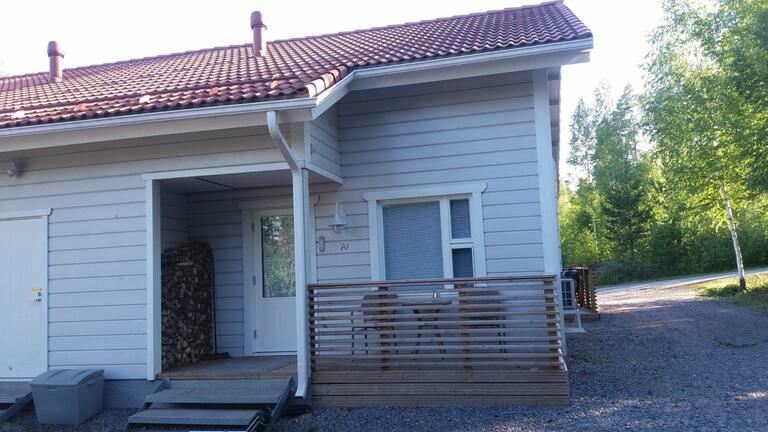 Pets are welcome in Valkovuokko 6 A 1, extra charge 20 euros/rental period which includes a bed and towel for pet also. Final cleaning 80 euros as service.